Amy learned through her YogaJoyFlow teacher training that making a commitment to truth-seeking is only way to help others do the same for themselves. The truth that I unveiled through yoga helps me to be more present, grounded, compassionate and caring. I am learning to be more disciplined, open and honest as well as forgiving and loving. I have more empathy. I want to connect with anyone who needs to commit to their own path of self-discovery and self-actualization. I believe we need to take responsibility for our own emotional and physical fitness. I see myself as your equal and hope to offer my experience with physical therapy, injuries, surgeries and overall anatomy. I enjoy showing people how to take care of themselves with breath. I would like my students to feel empowered, at peace and confident. I have finally found the recipe that works for me and the addition of yoga to my routine has been invaluable. Patrick is a lifelong gloucester resident who works as a carpenter. He first got into yoga like a lot of people in such a line of work due to back problems. His first introduction was in physical therapy and found the exercises To help with the pain and everything else associated with the injury. Then he took his first real yoga class and was hooked instantly. The endless amount of poses, the flow from one pose to the next, he breath work, the spirit, all that can happen in an hour and fifteen minute class blew him away and really dedicated him to the practice. Although having a mostly Forrest practice threw out his yoga jerney he still sought out and tried most other styles of yoga and remains open to learn all that he can to further his and now his students practice. After completing a yoga teacher training course he now enjoys bringing all that he has learned into the classes he now teaches his students for a yoga style and flow all his own. Mandy is yoga teacher for commited to bringing the joy, peace, and pleasure of strength, she has found in Yoga, to anyone who ‘pulls up a mat’ in her class. 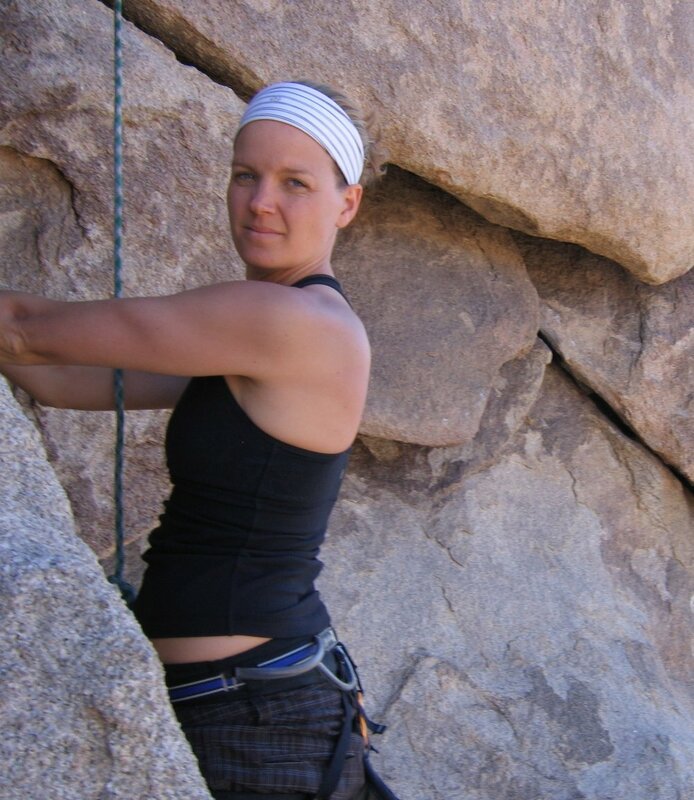 Mandy is a student of and teaches the Yoga Joy Flow style of yoga, based on Forrest Yoga, created by Paula Passanisi. Incorporating the experience of her dedicated personal yoga practice along with an in-depth study of the many layers of yoga, she strives to bring a physically and spiritually balanced practice to you in her classes. She welcomes people of all ages, physical ability, and eccentricities to her classes, aiming to provide a satisfying, healing, and pleasurable challenge to all. Personal mantra; Sthira and Sukha | Steadiness and Ease; Effort without tension - Relaxation without dullness. Lyn is a graduate of Sharing Yoga Teacher Training with a 200hr Registered Yoga Teacher designation from Yoga Alliance. She completed a nine month intensive study on the Eight Limbs of yoga using the principles of the Himalayan Institute. While training horses and riders in the competitive sport of dressage for most of her life, Lyn began to practice and study yoga in depth. Lyn teaches an all level yoga class focusing on mindfully and safely coming into one’s own unique expression of each pose. Her knowledge of anatomy and passion to help others allows Lyn to share many modifications to ensure that yoga is accessible to a wide range of people. Enjoying the use of mantras to guide meditation Lyn brings a sense of comfort and ease into each class. Lyn believes that sharing her knowledge of the Eight Limbs of yoga can help bring a non judgmental, healthy, safe, loving, and peaceful way of living to the community. Lyn continues to delve into the study of the ancient yoga tradition and attends many workshops and classes. An avid animal and bird lover, Lyn can also be seen around the streets of Gloucester trying to help the injured gulls. One of her bird rescues in Gloucester made national TV news. Joan moved to Gloucester in 1994 and began practicing yoga in 1999. At the suggestion of her teacher, she trained and received her teaching certification at Kripalu Center for Yoga and Health in 2002. She has also been trained to teach Yin Yoga with Josh Summers, and often integrates the slow holds of this practice into the classes she teaches. 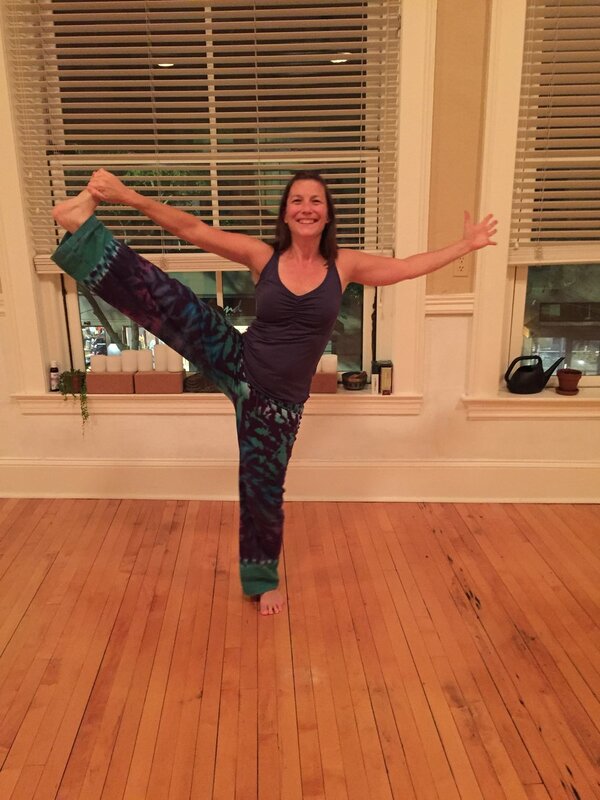 Joan taught at Yoga for Health, Gloucester’s first yoga studio, for nine years, during which time she developed a private practice offering individual instruction. With long-term relationships with her students, Joan’s expertise lies in introducing yoga to beginners and helping them sustain a regular yoga practice as they grow older. Joan’s approach to yoga is based on the principle that all individuals – healthy or with health challenges – deserve stillness and peace in their lives. Joan was born in Northern Ireland in 1941. She was educated at Ashleigh House School in Belfast and at the School of Nursing of the Royal Belfast Hospital for Sick Children, where she received the National Pediatric Nursing Certification in 1963. Joan married in 1966 and came to the United States in 1971. She has four children and for over twenty years lived in Newton, MA, where she volunteered as a patient representative at Newton-Wellesley Hospital, and also worked in a physician’s office at Massachusetts Eye and Ear.